I’ve always loved “Life Sim” games, they’re fun and relaxing to me. So when I got the opportunity to review Happy Birthdays, I was pretty excited. 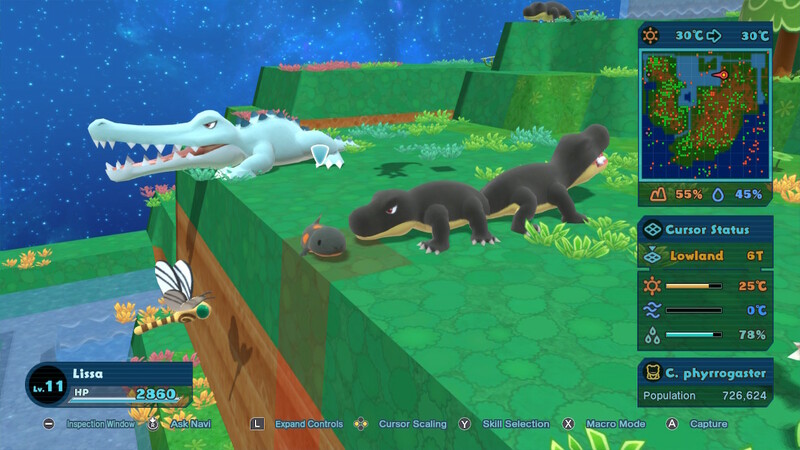 It looked super cute and had bright colors, which I love in games! From what I understood at the time, you got to watch dinosaurs and mammals evolve, which is pretty cool! I started up the game; the intro movie and title screen were adorable and got me excited to play! Upon starting a new game, you’re presented with four options to choose from: Green Plains, Scorched Earth, Stony Prairie and Frozen World. 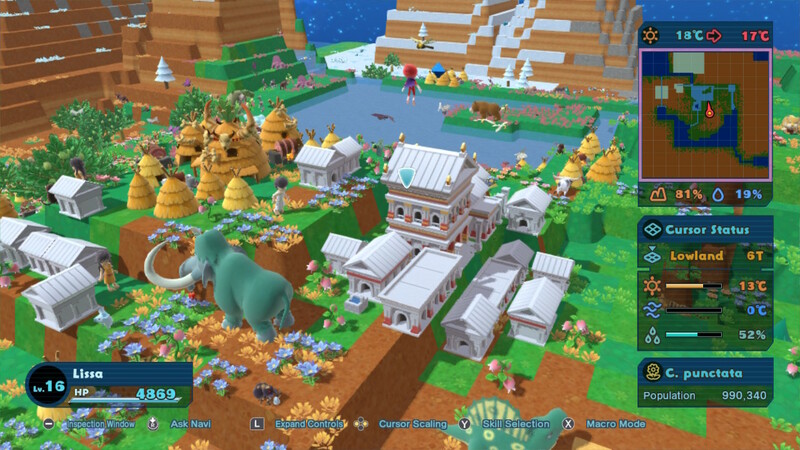 I chose Green Plains, because that sounded the most fun, and the description did say it was perfect for beginners. Which I am. I don’t want to end up accidentally killing everything by choosing a hard map off the bat! 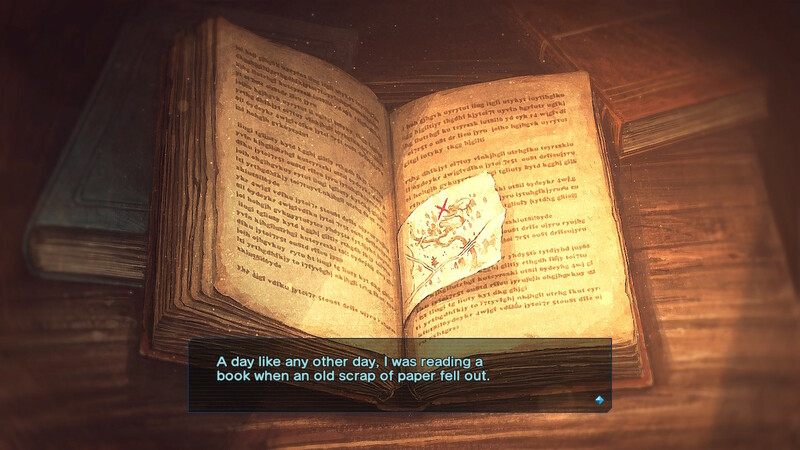 With my map chosen, the story begins with the picture of a book, wherein you find a treasure map. 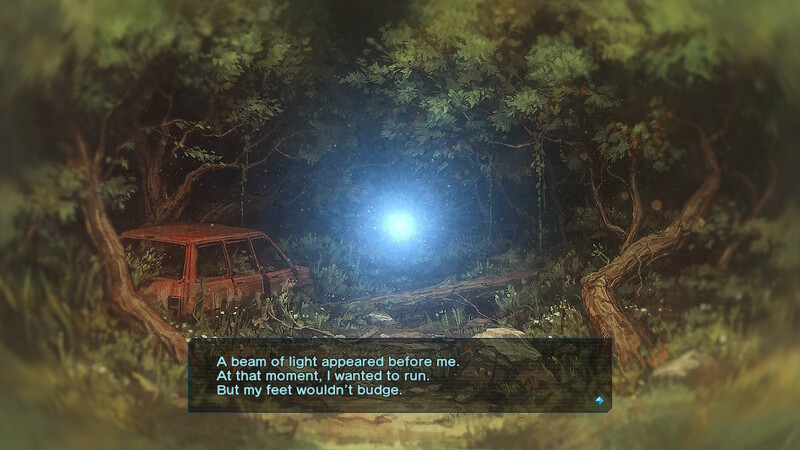 Deciding to follow the map, you enter the nearby forest. A bit of walking later you discover a ball of light, follow it into a cave, and end up passing out. 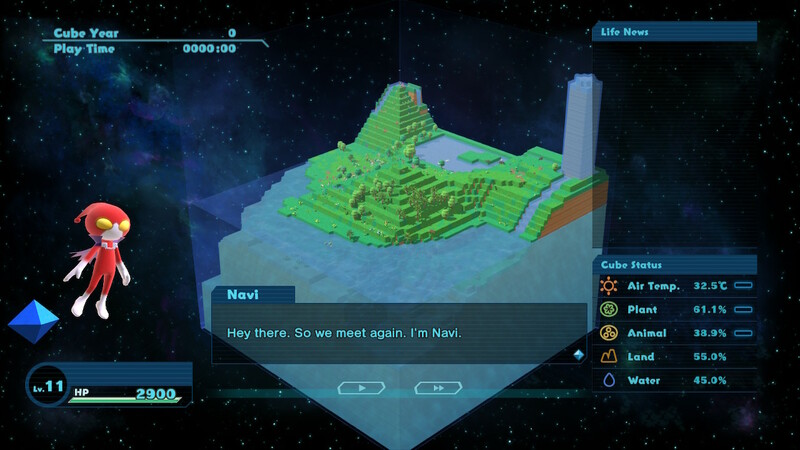 After waking up, you are introduced to “Navi”, who explains what you’re seeing and asks your name. Then the tutorial starts, and you’re thrust headfirst into your “Cube”; the environment in which you watch and help lifeforms evolve. 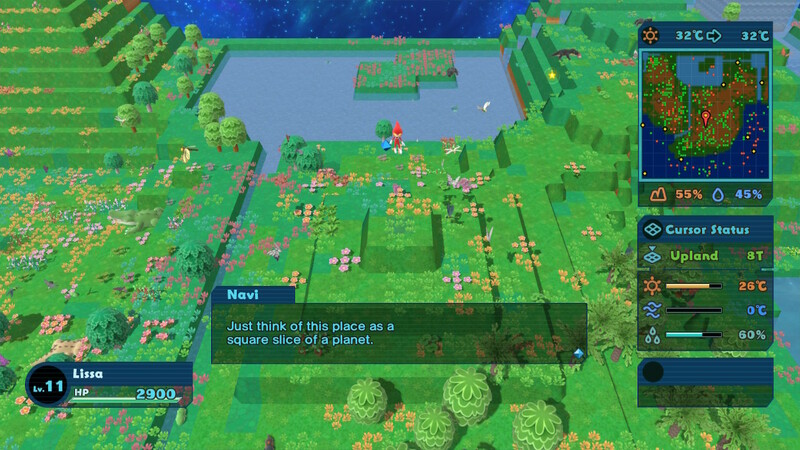 Navi explains that you can help lifeforms evolve and thrive in your Cube by raising and lowering the terrain, which affects the temperature. Raising the terrain lowers the overall temperature, and lowering raises it. You’re also given special abilities called “Skills” to help you with this task. There are a few kinds of Skills, from creating mountains or valleys to making an area hotter or colder without having to move terrain, to helping a lifeform evolve, or even go extinct! This game is a lot more intricate than I had previously thought before playing, and I love that. The menus and controls quickly learned and pretty easy to remember. I will say that the evolution menu can be confusing and hard to look through. Especially when you’re just looking for one lifeform you need to see how to bring to life. There doesn’t seem to be a search function, which would be very useful. 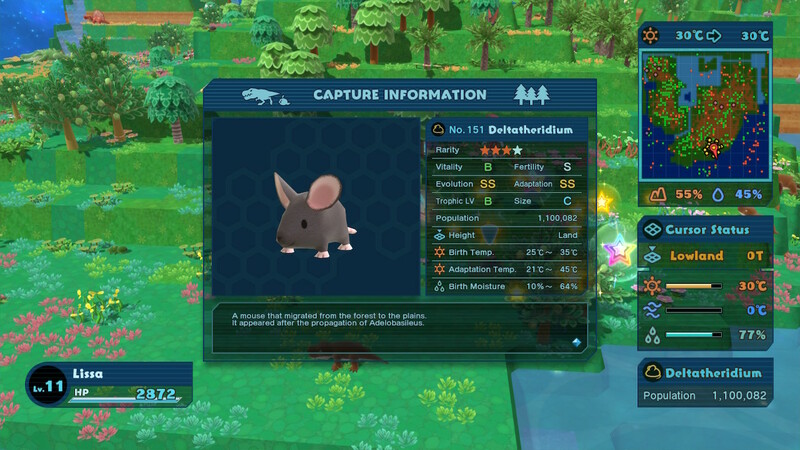 I also found myself wishing for an easy way to bring up the information of a certain creature, to see what I need for them to thrive, or a quick way to get to their next evolution on the evolution menu. 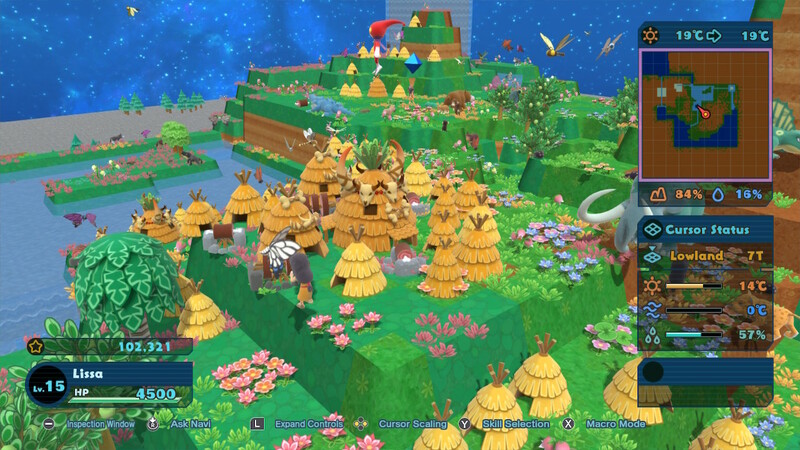 Most of the game is spent letting time pass by and messing about with your terrain. This can be done bit by bit so the next evolution can be born. You let time pass in the games “Macro Mode”. This is where you see your Cube zoomed out and watch it as it rotates with the passage of time. 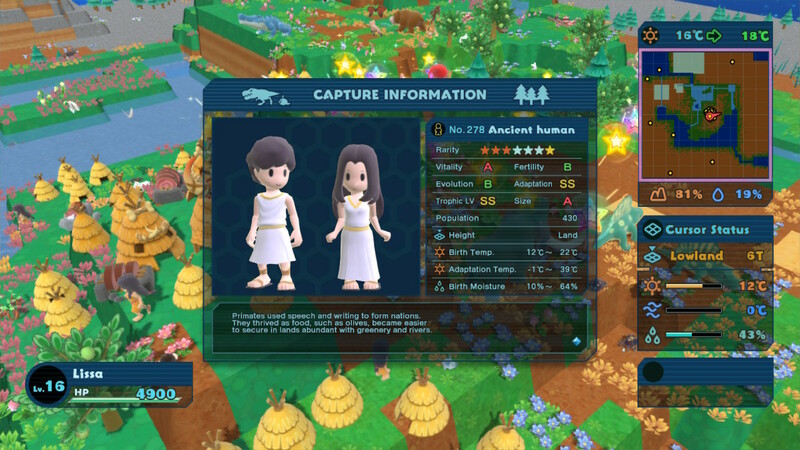 In this mode, there is also a “Life News” menu on the right with which you see how your lifeforms are doing. When new lifeforms are born, they show up with a NEW next to their name, and you can go back into your Cube to capture it for your library. Capturing is a fun mechanic, but can be finicky in my experience. 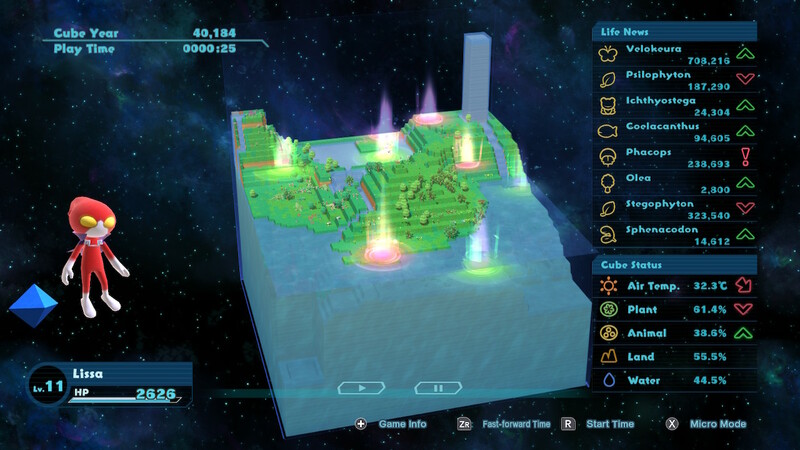 Lifeforms to capture show up on your minimap so you can find them. Cool, right? From what I’ve found while playing, however, if you fast forward time and new lifeform scrolls by the in the Life News menu, you’ve lost the ability to find it in your Cube with the minimap. I don’t know if it was something I was doing wrong, or if that’s just what happens. I felt I missed capturing a lot of lifeforms because of this. That minor issue aside, I really like how passing time works otherwise. It never got boring since you were always looking to the Life News menu or the Cube Status under it to make sure everything was going the way you wanted it. Navi always tells you what you need to get to the next step of evolution, but it’s not always straightforward. Which is nice as that might make the game too easy. 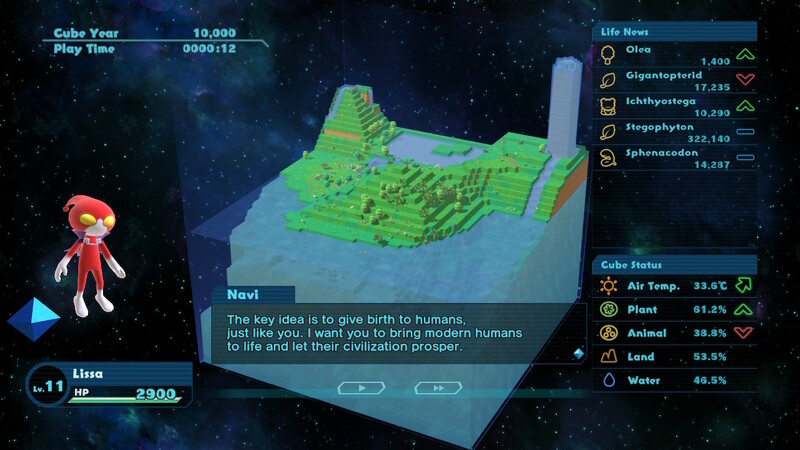 Figuring out what you need to evolve a lifeform, or bring about a new one can be as easy as making a mountain to lowering the Cube’s temperature. As well needing to figure out what lifeform you need to use a certain Skill on. The story is pretty short, only a few hours, and in my playthrough, ended on a very melancholy note after such a bright happy experience with your Cube. I’m not sure if there are different endings, or if that’s just the way it’s supposed to be, but with the four different biomes to choose from at the start, this game has some replay value. I also think if I chose to play the same one again, I might not get the exact same evolutions, especially if I made different changes to my Cube. For players looking for more, there is a Challenge mode and a Free Mode. 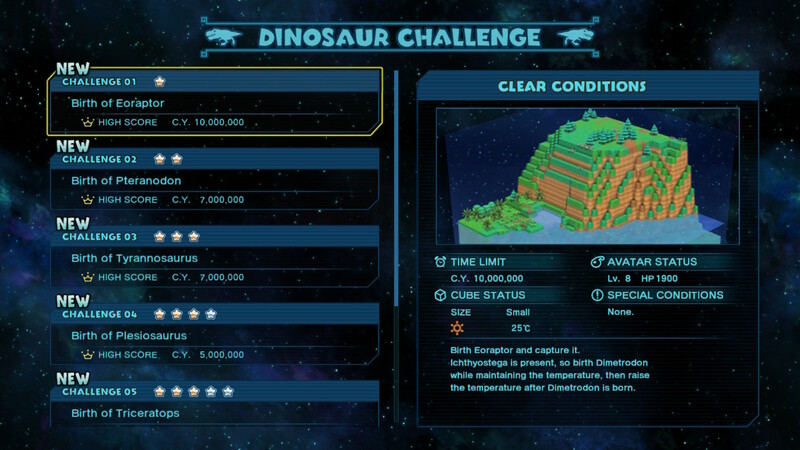 Challenge Mode is where you try to bring life to different dinosaurs by meeting certain conditions within a premade Cube. 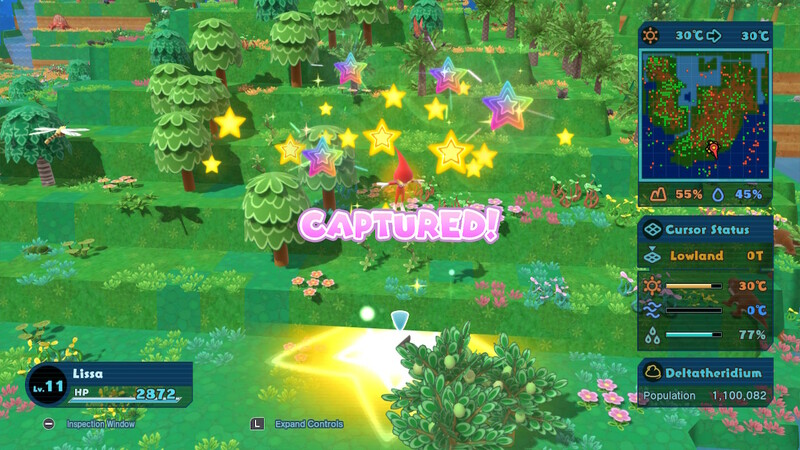 The difficulty ranges from one to seven stars, and a time limit adds an extra challenge. 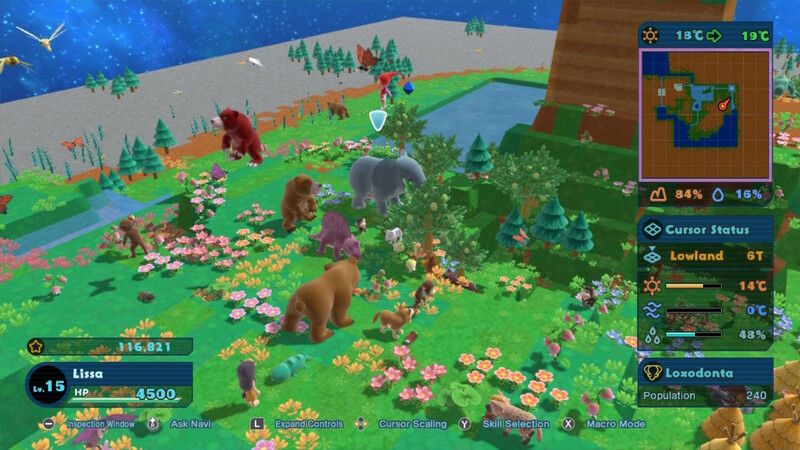 Free Mode, on the other hand, is a sandbox where you can do whatever you want. You can choose from small, medium or large Cubes. You can transfer your information from your saved story game so you can continue. I don’t recommend doing this if you choose a small Cube since the Cube from the story is too big to fit and everything will just go extinct (I know, I tried). This game works great in TV mode. It’s super sharp, and the framerate seems perfect. The text could be a bit small sometimes depending on how far away you are, but it’s otherwise fine. The handheld mode was good, but in some instances the text was too small to read. While that’s to be expected in a handheld mode, I still think this game is best played on a TV. All in all, I would rate this game 8 out of 10. It is a Must Play for fans of Life Sims. Happy Birthdays is a very pleasant experience! 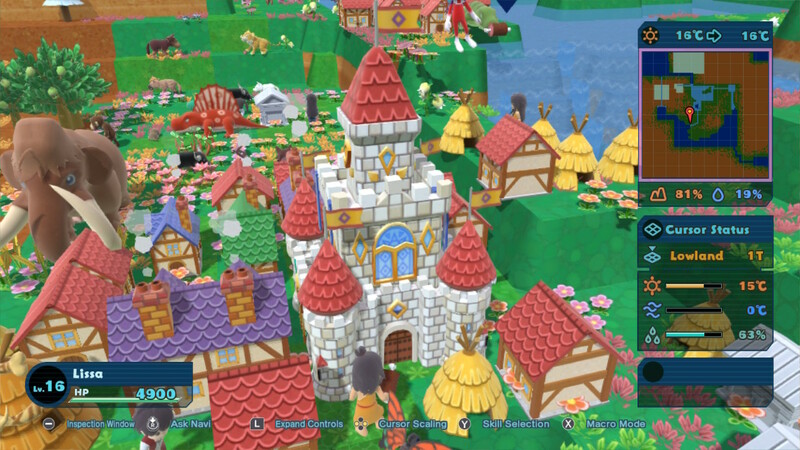 The bright colors, overall pleasant sounds and cute graphics make it a very relaxing game and contrast well against the grittier, more demanding games in any player’s collection. At the same time, there’s a sense of challenge, discovery, and accomplishment that will keep players coming back. 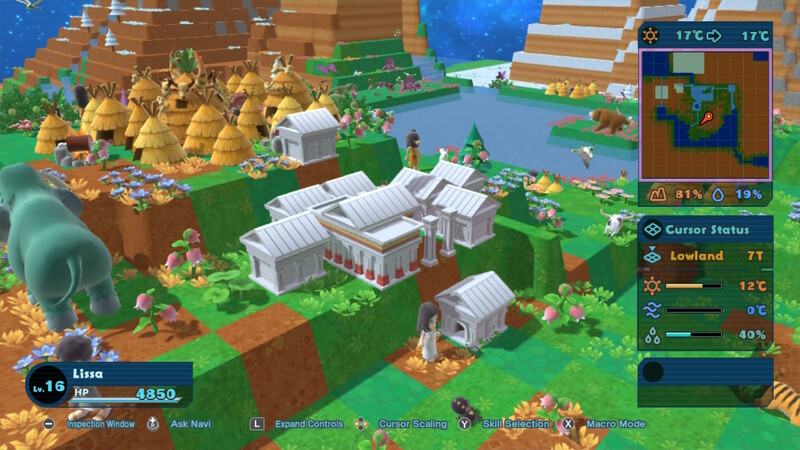 Previous story Pokemon Quest Announced and Available Right Now!